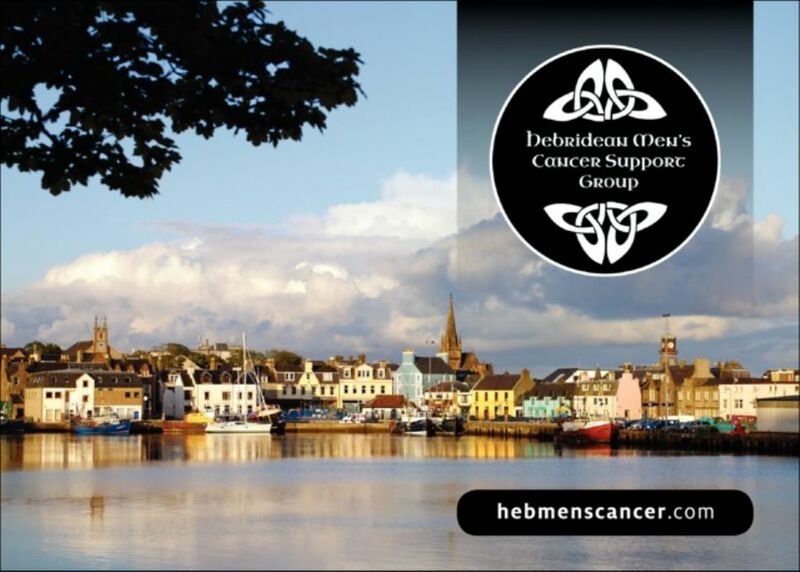 Hebridean Men's Cancer Support Group | Heb-History. Set up in March 2008 the Hebridean Men’s Cancer Support Group today has a membership of 40. As a mutual support group, members meet regularly on Friday afternoon at the Lewis Retirement Centre on Bayhead to enjoy fellowship and give each other support and encouragement, as well as a cup of tea and some craic. In addition to the ‘drop in’ sessions on Fridays, the group has a regular business meeting once a month. From time to time they have have speakers or video presentations and always have a keynote speaker at their AGM. A group of members attend the Annual Conference of Cancer Support Groups each year and have made very valuable contacts with other support groups. Not all members, though, are undergoing treatment. Many members have had treatment and are enjoying a time of improved health and are able to encourage and support new members who are starting on their cancer journey. Says secretary, Roddy J Macleod: “As a result of the tremendous support we receive in the community we have been able to establish a Benevolent Fund and we have been able to give a small measure of financial support to cancer patients and their families under a code of strict confidentiality. Underpinning their work are six founding principles. These are to offer emotional support and information to men affected by cancer and supports each other through our losses, giving time and space to talk about fears and grief.They are committed to listen and respond with sensitivity, respecting confidentiality and not imposing personal preferences and values on others. Further, they will collect and disseminate information on all matters relating to cancer, as required and discuss areas of concern in cancer care based on members’ experiences and where appropriate feed back suggestions for improvements to heath/cancer care organisations. Finally, the group undertake to raise funds and invite and receive contributions from any persons whatsoever for the purpose of providing financial assistance to causes related to cancer care deemed appropriate by the group, but the group shall not undertake permanent trading activities in raising funds.